The rise of the Internet of Things (IoT) is resulting in some exciting advancements in the 21st century. Few things are as dull and boring as a visit to the emergency room. Apart from the resulting medical expenses, emergency room visits can sometimes take hours to complete. Thanks to some recent ingenuity and the IoT, at least one hospital — Mt. Sinai Medical Center in New York City — effectively slashed wait times for 50% of their emergency room patients who are in need of inpatient care. 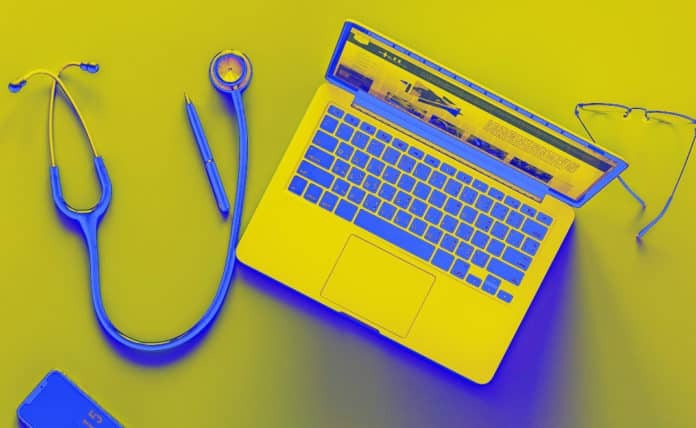 It’s their partnership with GE Healthcare and new, IoT-driven software, known as AutoBed, that tracks occupancy among 1,200 units and factors in 15 different metrics to assess the needs of individual patients. It’s a highly effective system that highlights some of the more innovative and exciting uses of the IoT. In some cases, patients don’t even have to visit an emergency room or hospital. One of the most obvious and popular applications of healthcare and the IoT is in remote health monitoring — sometimes known as telehealth. Not only does it minimize costs and eliminate the need for some visitations, but it helps improve the patient’s quality of living by sparing them the inconvenience of travel. If a patient has limited mobility or depends on public transportation, something as simple as this can make a world of difference. Modern hospitals require next-gen software and hardware to function — some are even used to save or sustain human life. Like all electronic devices, this equipment is prone to numerous risks — from power outages to system failures — that could be a matter of life or death. A new IoT-driven solution from Philips, called e-Alert, aims to solve that problem. Instead of waiting for a device to fail, Philips’ new system takes a proactive approach by virtually monitoring medical hardware and alerting hospital staff members if there’s a problem. Philips recently unveiled the product through a collaborative effort with OpenMarket. Safety is the utmost concern of any hospital or medical facility — or at least it should be. It’s hard to maintain the maximum amount of security without the ability to track assets — staff members, patients and hardware — throughout the building. It’s a task that’s easily achieved in smaller institutions, but what about larger facilities that feature multiple structures and campuses as well as thousands of patients and staff members? Many are turning to the IoT and real-time location systems to facilitate asset tracking. Not only is it an inexpensive method of monitoring day-to-day activities in a hospital setting, but it’s unobtrusive, effective and cutting-edge. One of the most exciting breakthroughs regarding healthcare and IoT comes in new forms of prescription medication. It seems like a work of science fiction — but pills containing microscopic sensors that are the size of a grain of rice can send a signal to an external device — usually a patch worn on the body, to ensure proper dosage and usage. Such information could be invaluable when it comes to ensuring patients remember to take their prescriptions and even when prescribing future medications. Patients also have access to the information, through a handy smartphone app, to track their personal performance and improve their habits. Recurring health problems are never exciting, but big breakthroughs are being made in the treatment of such issues — and much of it is a direct result of the IoT. There isn’t one innovation or device that’s helping treat chronic disease in the 21st century — it’s the combination of wearable tech, next-gen analytics and mobile connectivity. Utilities like Fitbit use the IoT to monitor personal health — such information can be shared with a doctor to help solve recurring issues. A company called Health Net Connect recently established a population diabetic management program with a goal of improving clinical treatment and reducing medical costs for patients — and they’ve already produced some exciting results. The IoT has the potential to reach every human being on the planet at one time or another in their lifetimes. It’s gone from the modern factory floor to tech-driven hospitals and medical facilities in a very short amount of time, and it’s a development that is already transforming the industry of healthcare IT. There’s no doubt that it will continue to do so as the technology continues to advance — but how far it will take us is anybody’s guess at this point.